Cook the pasta in a saucepan of salted boiling water for 10–12 minutes or until al dente. Drain and return to pan. Whisk together the cream, egg yolks, salt and pepper, add to pan and cook, stirring, over low heat for 1–2 minutes or until thickened. 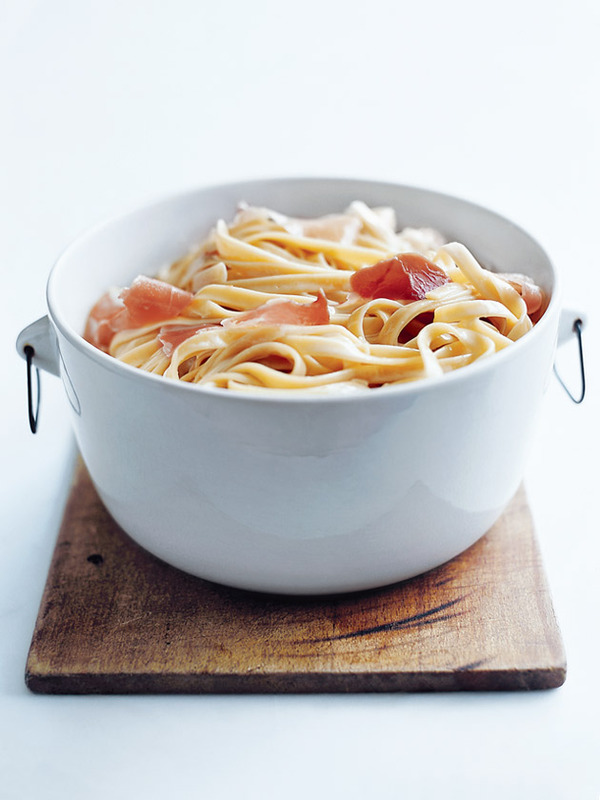 Top with prosciutto and parmesan to serve. Serves 2.